There is an interesting book (amazon link to book) I’ve been reading about meditation and it’s effect on the mind and body. It’s a collaborative piece written by multiple experts in the fields of Psycholoy, Buddhism, and health professions, such as neurology. In the portion of the book that talks about meditation and emotion, it describes the process the human body, and mind, goes through when experiencing an emotion. Emotion is a fast response and usually subside. When we say we’ve been “feeling bad all day” what we’re doing is revisiting the same emotion, over, and over. We think the whole day has been “bad” when we really are just thinking about the same thing that gave us that emotion, calling for the response again, and again. What I liked about this portion of the book was the scientific approach to understanding emotion and its relation with meditation. 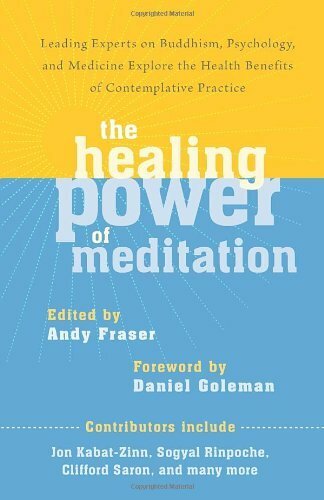 In this section, written by Erika Rosenberg, PhD, it talks about the observational skills of meditating that are similar to the observational process of the scientific method. Once more, it also also mentions how emotion is not something you can stop. This brings me back to the title of this blog post, Walk slowly with your emotions. An emotional response occurs almost immediately following the event that triggers the response. It can be a powerful tool to aid in escape, recovery, temporary gains in strength, stress, and other effects on the mind and body. Before you let your emotions run away, instead try walking with them. Let them go, it’s okay. And as you continue to walk slowly with the emotions, you can welcome them and say goodbye on your terms, instead of running a race the you will never win. If I allow this emotion to persist, my teeth will grind, my jaw becomes tense, the shoulders arch up towards my ears and I feel heat all over my body. The heart rate increases and I start to have shallow breathe. Sometimes this does help me focus on whatever made me angry to solve the problem, which is a productive outcome of the process. However, if I’m still steaming over the subject or event I do the following: close my eyes, place my hands together, and take deep long breaths. My eyes closed, it allows me to feel the tension more-so in my body and I try to visualize the release of everything that feels tight. The deep breathing helps relieve all that tension within the body and then calms down the mind. Having my hands together gives me a feeling of compassion for myself and others, I am not longer clenching my fists or jaws. Sometimes this is a good reaction to the feeling. You’re about to embark on a great journey. Of COURSE you’re going to feel nervous or anxious about the trip. My eyes may dart around, my breathing becomes quick and short, and my hands feel clammy. The feeling to disappear from public view starts to creep in. What I do: LAUGH! Reminding myself not to things “so seriously” and see them as events on a timeline versus events on their own. Everything is connected, in one way or another. So my anxiety is connected to my self-esteem. When I begin to laugh I remind myself of the strong person I am and how much stronger I want to become. It gives me ease to relax knowing that small mantra I’ve held close to my heart: today I’m stronger than yesterday. We’ve all had this feeling. Like the color we see today is not as bright as it usually is to us. The faces of others look like twisted masks covering the human flesh. When I’m sad, it’s easy to see on my face with my gaze low, shoulders rounded, and blank stare. Sometimes I have emotion about emotion. I get angry that I’m sad! I tell myself, “what do you have to be sad about?! There are others that have it worse off than you.” What do I do to get out of this loop? I use to EAT! That’s how I got over 200 lbs in my early twenties. I dealt with emotions as cover-up by food choice. Now, I MOVE MY BODY. When your mind wants you slow down and lament over the same emotion, again and again, movement helps your thought train move alone. Largely, I do yoga, but if I need something more up-tempo, I dance, by myself. So there you go. Emotions come, Emotions go! (just like money, but that’s another topic) This is ONE of the MANY reasons I practice and teach yoga. It has helped me slow down and move through emotions, surpass challenges, and question myself. Yoga has given me the opportunity to connect with so many people in a way I thought never imaginable. When I first started yoga, I would laugh at the “yoga can transform you!” and other sayings. Now I find myself saying those same exact words. All you have to do is be open to change, and it will come. Follow your heart. Hey readers! If you have any other good books or articles to read, please leave them in the comments below! Also, feel free to share this post with others. Great post! Thank you Jen!